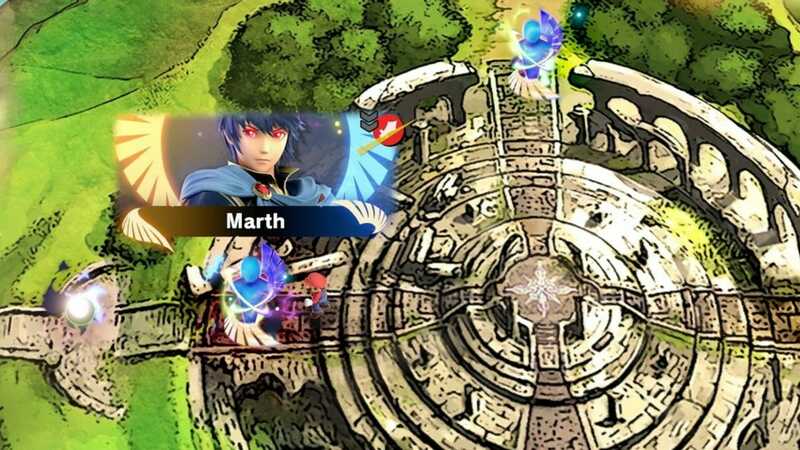 The final veil has been lifted from Super Smash Brothers Ultimate with the recent announcement of an adventure mode. Series creator Masahiro Sakurai revealed a trailer for the ‘World of Light’ in the final Smash Bros direct. Sakurai reportedly had to cut an adventure mode from the previous instalment due to the hardware limitations of the 3DS. So an announcement was expected but the structure is perhaps not what many had envisioned. It seems World of Light will be nothing like the popular Subspace Emissary from Super Smash Bros Brawl. It will instead be closer to the event mode in the previous instalment with the addition of a narrative. There may be a few more surprises in store following the game’s release but for now, here’s everything we know of World of Light. 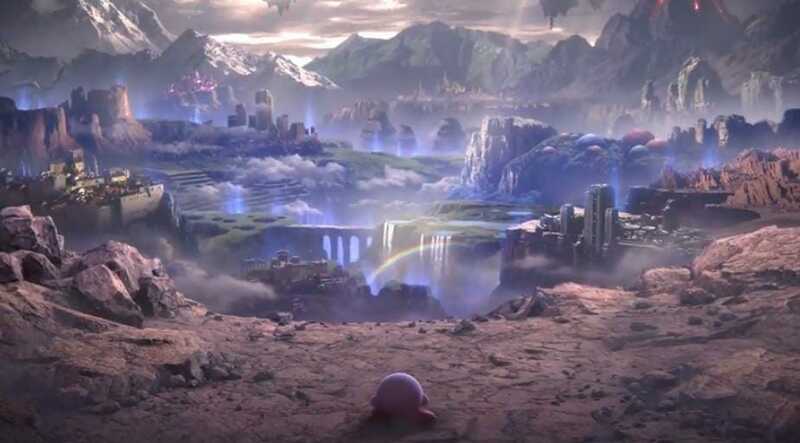 The reveal trailer began with a cinematic cutscene that set up the narrative for the World of Light. In it, we see all the Smash Bros roster preparing for a clash with antagonist Galeem and an army of Master Hands. The first thing to notice is the addition of voice acting, something previously unseen in Super Smash titles. It’s an excellent inclusion adding gravitas to the scene and could potentially hint at further cinematic cutscenes to come. As players progress through the story we should hopefully learn more about Galeem and our heroes. As the fight begins Galeem sends out tendrils of light from its’ form and seemingly engulfs the entire solar system. 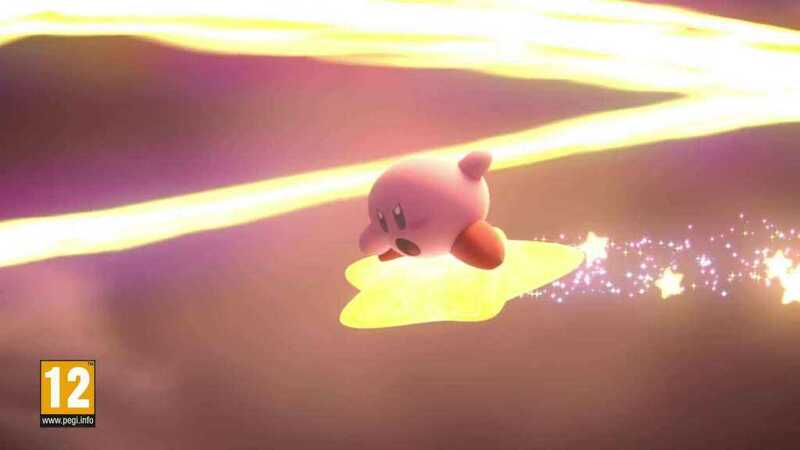 Kirby is later revealed to be the sole survivor and must begin a quest to save his friends. Evil Clones are then produced of rest of the roster who will need to be defeated in order to unlock them as a playable character. Following the cinematic cutscene, we see some gameplay footage offering insight into how World of Light will work. 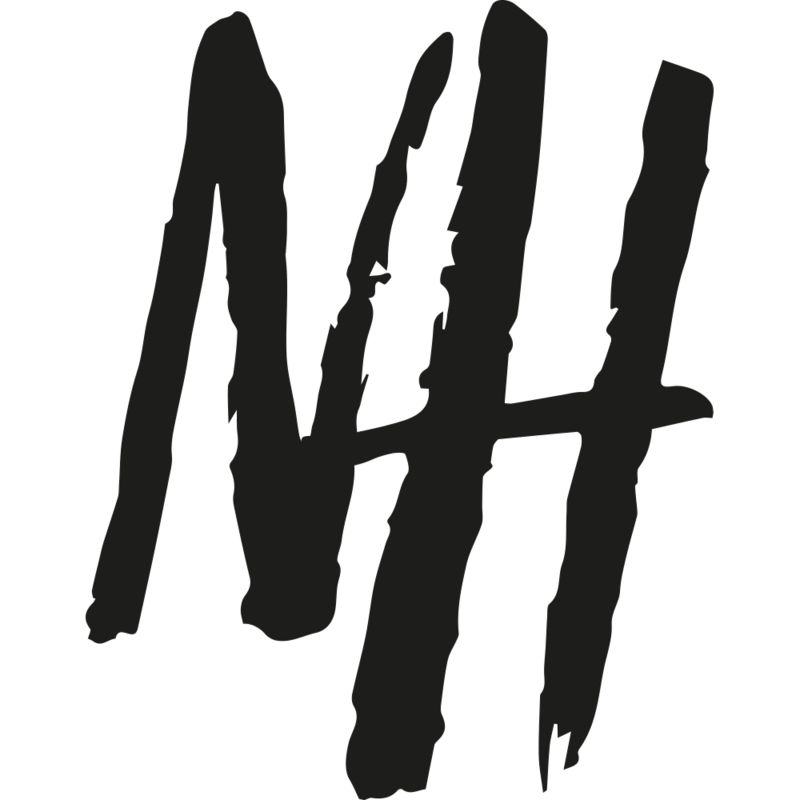 It appears as though there will be no side-scrolling or platforming sections. The only player movement will be from a top-down perspective on a map leading to various battles. Similar to the hub worlds used in the Super Mario series except the player will have free roam of movement. With multiple branching pathways, players will very much be allowed to forge their own journey through the story. Certain actions will temporarily block off other routes though meaning your choices will have consequences. In addition to the hub, there will also be certain puzzle sections which will be tackled from a top-down perspective. These will likely be optional and will unlock new routes or reward the player with bonuses. Super Smash Bros Ultimate will have the largest roster to date but it’s not enough to fill the World of Light. In between character battles, players will also have to lock horns with spirits. 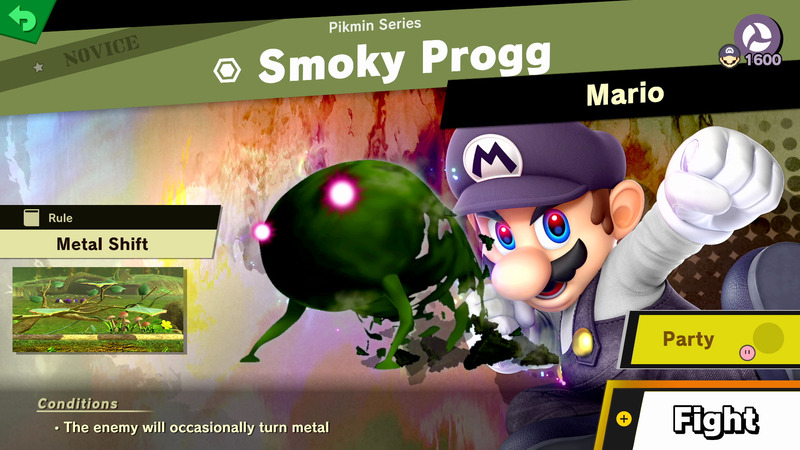 Spirits are essentially additional unplayable characters that are represented by a modified member of the roster. 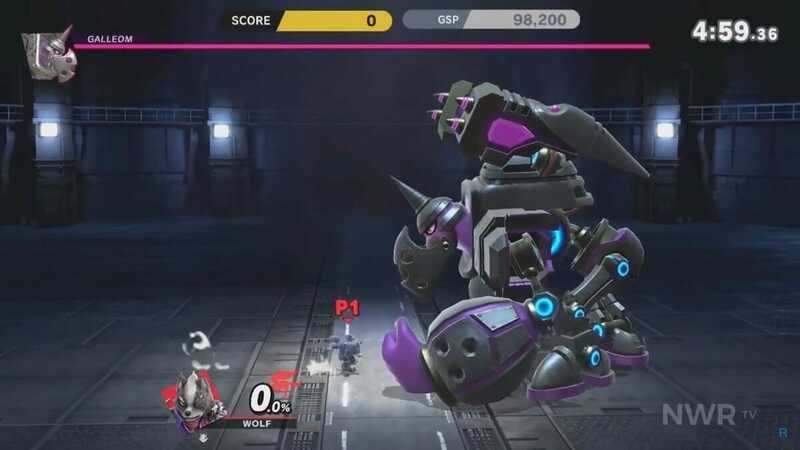 For example, we see a fight with one of Breath of the Wild’s Guardians represented by a giant R.O.B. These will all be unique challenges, with specific parameters that allow the player to unlock that spirit. Once unlocked a spirit can be equipped to a playable character to offer various benefits. As you progress challenges will become much more difficult and will require certain spirits to complete. It will essentially work like a rock, paper, scissors system with some spirits trumping others. Spirits can also be levelled up to make them more effective and combined with a skill tree to add an RPG element to gameplay. Boss battles will also be returning as an additional challenge that will bring a player closer to the end goal. It’s not yet confirmed how many bosses there will be but Dracula is a definite and eagle-eyed fans spotted Werewolf on the loading menu. Presumably, Werewolf will also be a boss meaning there are at least two bosses from the Castlevania series. This leads us to believe there will likely be a lot of other bosses included though we can not speculate how many. There is also a confirmed 448 spirits with others possibly still to be revealed. Add to that the 77 fighters in the game and it seems like World of Light will offer dozens of hours of gameplay. It’s hard to say it won’t be a little disappointing not to have some side-scrolling sections in World of Light. These levels were a huge part of what made Subspace Emissary a huge success. Smash already offers a lot of excellent and varied multiplayer battles so it’s nice to have something different in a single player campaign. The lack of variety could end up making World of Light more of a grinding chore than an engaging journey. That said the story promises to be much more emotionally fraught than before, with a very impressive opening cutscene. A spectacular narrative could help weave the battles together but it remains to be seen how much more story there will be. Early reviews of the World of Light are very positive, with some even calling it the first worthwhile adventure mode in the series. The variety in specifications and RPG elements have so far been well received adding re-playability to an hour demo. But again it remains to be seen if the World of Light can maintain the same response across the predicted 40+ hour campaign.